1. Rinse, Peel and then grate all the Carrots in a hand held grater. You will get approx four cups of Grated Carrots. 2. In a deep thick bottomed pan, take milk and grated Carrots. 3. Bring the mixture to a boil on a low to medium flame and let it simmer. 4. Keep stirring the mixture while it simmering on a low flame. 5. The Carrots will start to cook in the milk and the milk will start to evaporate and reduce in quantity. 6. When the milk has reduced by 3/4th, Add Ghee, Sugar and Cardamom to the mixture and stir well and continue to simmer and cook on a low flame. 7. Keep cooking till all the milk has been evaporated. Add the Cashews,Almonds, Crushed Saffron and raisins towards the end and switch off the burner. 8. 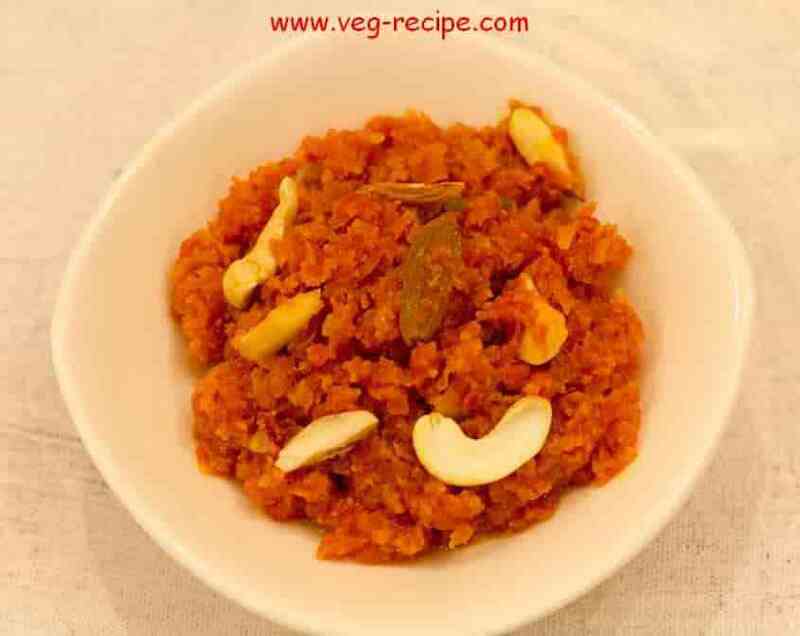 Serve Gajar ka Halwa Hot, Warm or Cold or as you like it !